Two demonstration projects that aim to yield quick results for patients have been selected by the new California Initiative to Advance Precision Medicine, a public-private effort launched by Governor Edmund G. Brown Jr. The initiative is being hosted by UC San Francisco, in conjunction with UC Health, which comprises the University of California’s five medical centers. Both projects involve extensive collaborations within the UC system and with other academic medical centers in California, as well as patient advocates and companies in Silicon Valley and the biotech industry. They were selected by an expert review panel from a highly competitive group of proposals submitted by collaborative teams around the state. One of the winning proposals will harness big data bioinformatics to help doctors identify effective treatments for California children with cancer who fail to respond to standard therapies. The other will enable detection of all known pathogens with a single DNA sequencing test, to diagnose acute infections in hospitalized patients. A team led by David Haussler, Ph.D., a professor of biomolecular engineering at UC Santa Cruz, and Theodore Goldstein, Ph.D., a research associate at UC Santa Cruz, will develop a secure Internet-based networking system to match cancer therapies to individual children based on the genetic characteristics of their tumors. 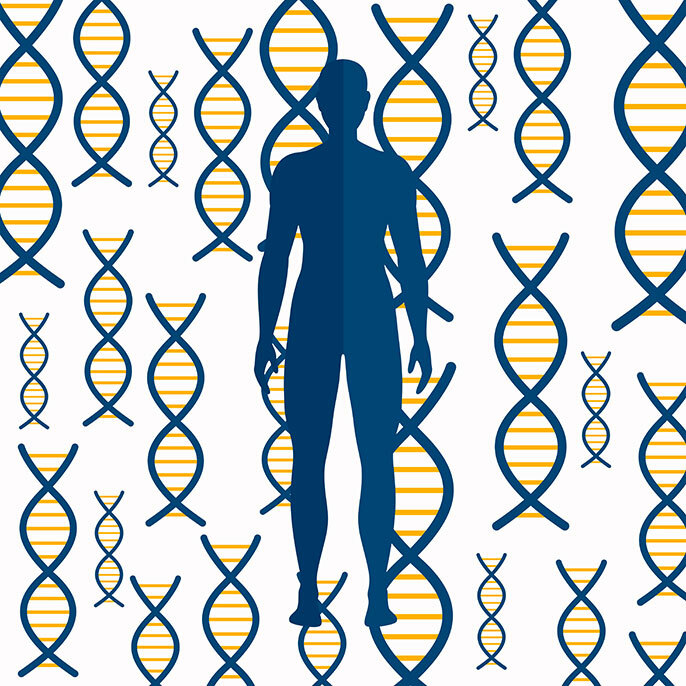 The California Kids Cancer Comparison will enable clinicians to sort through a much larger pool of genetic data than has previously been available, including tumor sequencing data from children throughout California and around the world, as well as from adults. It also will enable patients, their advocates, clinicians and researchers to upload, analyze and communicate genomic information and associated data through MedBook, a social media platform that maintains privacy and security for patients' data. The project includes investigators from UC Irvine, UCSF and Stanford University, as well as the University of Southern California, the Pacific Pediatric Neuro-Oncology Consortium, including UCLA and UCSD, UC Davis, Hyundai Cancer Institute at Children's Hospital of Orange County, Children’s Hospital Philadelphia and the Translational Genomics Research Institute. The team includes such industry partners as NuMedii, Cisco and DNAnexus. And it builds on the UC Santa Cruz Treehouse Childhood Cancer Project, which enables combined analysis of adult and pediatric cancer genomic data sets, including those generated by the National Cancer Institute’s tumor genomics initiatives, as well as pediatric clinical sequencing trials. "Our goal is simple: Every kid in California with cancer who needs a second chance, should get a second chance," Haussler said. "Currently, too many kids are not getting the full advantage of complete genomic analysis of their tumors. If the standard treatment does not cure a child with cancer, then we need to be doing all that we possibly can to use genomic analysis to come up with an alternate therapy." The effort requires collaboration between patients, families, clinicians, advocates, researchers and entrepreneurs, and the team has enlisted support from Unravel Pediatric Cancer, Jacob’s Heart and Kids v Cancer. The second winning proposal was from a team led by Charles Chiu, M.D., Ph.D., an associate professor of laboratory medicine at UCSF. It aims to use genetic sequencing to diagnose patients who are hospitalized with acute, potentially life-threatening infectious diseases. Chiu’s lab developed a novel, powerful DNA sequencing scheme that can detect all pathogens – viruses, bacteria, fungi and parasites – with a single test. The test has been shown to rapidly and accurately diagnose infections in a number of patients, and it was critical to saving the life of a 14-year-old boy with bacterial encephalitis. The initiative-funded demonstration project will now enable validation of the test at three UC medical centers in patients presenting with encephalitis, meningitis, sepsis or pneumonia. Genetic data from the tests will be integrated into patients’ medical records, and an around-the-clock precision medicine consult team will be available to interpret results and guide treatment. Chiu’s team includes investigators from UCSF, UC Davis, UC Berkeley and UCLA, and from such private companies as Syapse, DNAnexus, Quest Diagnostics and Google Genomics. The team hopes to make the test available to hospitals around the state and, eventually, the country. The state’s contribution to the work is being leveraged by donations from the Sandler and the William F. Bowes, Jr., foundations. “Routine clinical testing fails to identify the cause of more than half of meningitis and encephalitis cases in the hospital,” Chiu said, adding that he gets 10 to 20 inquiries a week from doctors and patients who are urgently seeking a diagnosis. “That is why we are especially grateful to the California Initiative to Advance Precision Medicine for providing us with the opportunity to bring sequencing for infectious diseases into the acute care setting. We need these tools now to make a difference for our sickest patients.